Population´s development and the demographic change lead to modifications within various areas of life and raise questions such as: How would we like to reside when we are old? Will we be able to take care of ourselves or will we be taken care of? How and where will we be cared for? What do mobility and social contacts look like at age? But also: Can we even imagine being supported by technology? What should that specific technology look like? What is the impact on our privacy? Is technology even able to replace human and physical proximity? Are these new technologies and new medical therapies affordable for us? At old age, most people wish for a self-determined life within the own premises even. Especially after retiring, the home environment becomes the center of life. Its design , in order to remain at home, becomes an important issue. 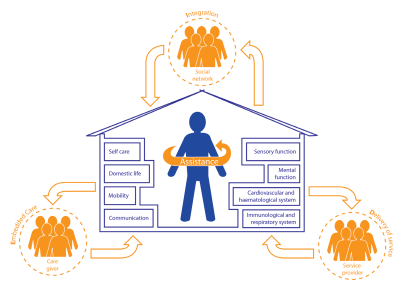 OFFIS has dealt with these social questions at an early stage and already works on developing and integrating technical concepts which improve home care and support. 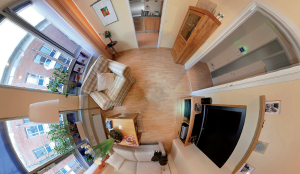 These concepts are supposed to offer new ways of communication and support the user´s own mobility and are called “Ambient Assisted Living” (AAL). technical solution and at the same time keeping the health system stable and affordable. As one of the first IDEAAL-products, presented OFFIS a television set with an integrated hearing aid which was developed in cooperation with „HörTech“ In the scope of the „Year of Science 2009“ in Oldenburg. Public relations are further promoted within the „Schlaues Haus“ (Smart House) in Oldenburg. The research network GAL from Lower Saxony shows exemplarily how, by interdisciplinary collaboration, computer scientists, engineers, economists, physicians, sociologists and psychologists develop new AAL-systems that meet the needs of older people, service providers and future operators. With this, GAL particularly stimulates the discussion in politics and public. The local and national presence of the IDEAAL- activities is high: Television, local and national newspapers report about IDEAAL. With this, it was possible to draw organizations´ and companies´ attention and therefore attract new partners. Thus, the AAL-network is well developed, both locally and nationally. It covers cooperation partners such as the University of Oldenburg, HörTech, Fraunhofer IDMT and the Institue for Palliative Care as well as medical institutions as e.g. the Center of Geriatrics Oldenburg, the Pius-Hospital, the Center of Palliative Care Oldenburg, the Hannover Medical School and the Charité in Berlin, Additionally, there is a close collaboration with industrial partners such as Siemens, Philips and NEC. It is a challenge to OFFIS to deal with the needs and demands in various areas of home support for older people. 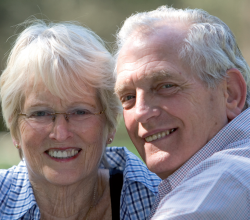 While „younger seniors“ rely on comfort and communication functions as well as preventive support which allow the user to get used to technical concepts, middle-aged and older people focus on the compensation of decreasing physical abilities, support chronic diseases, rehabilitation as well as safety within the home environment. Handling and using the service of the technical systems is introduced by the modular design and the adaptable solutions at an early stage. This guarantees an easy access to the individual modules. Because there are different challenges, there are various requirements to the technical solutions; They need to be inexpensive and upgradeable. Especially, the use and the usability influence the acceptance of technical solutions: non-stigmatizing, reasonable, user- and solution-oriented systems. With IDEAAL, the visibility and understanding of „Ambient Assisted Living” is supposed to be improved.Main part within the development activities is the early discussion with user groups such as seniors, physicians and care givers. Therefore, OFFIS already furnished one of the first home-labs, the IDEAAL apartment, for research and demonstration purposes in 2005. As a laboratory and crystallization point for AAL activities, it continuously gives impulses for the development of new and trendsetting AAL technologies which then can be evaluated, presented and tested. The results of the interviews with the individual user groups are implemented and integrated consecutively. That is how completely new demands are identified and lead to new, innovative, technical ideas, which are then tested regarding feasibility and acceptance. With this, IDEAAL creates the ideal breeding ground for new services and products.